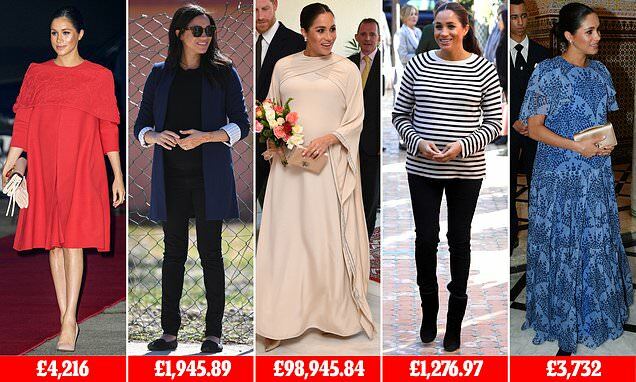 How much is Meghan Markle's Morocco wardrobe worth? EXCLUSIVE: Meghan, who spent three days in the north African country, wore a mixture of high street, off-the-peg designer and haute couture pieces including a custom made Dior gown. Next Article What on earth happened here? This is sickening . How can she and the RF justify this ? Just to put this outrageous spending into perspective , there are houses that cost this or less than this in GB . We have nurses , firemen and other public sector workers who are working , but going to food banks so they can feed themselves and their families . This is the reality of life in my country , The nauseating, sycophantic people who continue with this Megfest need to get a bloody life . I hope the RF are feeling ashamed , they should be .